“Crash the super bowl”- The brilliant tagline that would serve as the golden fleece of the voyage. On October 10, 2013 Doritos opened the Super Bowl in partnership with Pepsi Company and is now active to promote the contest all over and across the globe through media and telecommunication. A digital, physical and creative contest open to all 45 countries selling of the said chips will have the opportunity to win the prize. There are different categories: like film festival that is under the digital contest category, where the superior level of creativity is an edge for them to advance to finals. Each participant is required to submit an entry of a high quality commercial ad that would be included in the aggregate 15,000 entries and only top 20 will be chosen to continue for voting. 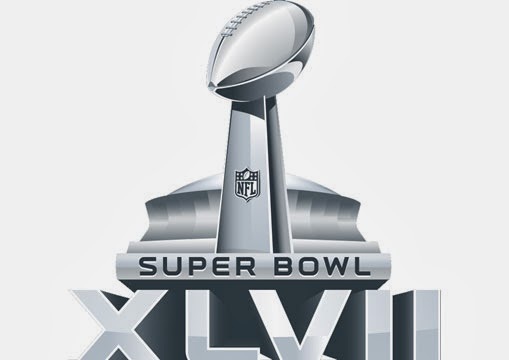 And also the pre-part of the Super Bowl is the Small Business Big Game contest in which the entry of the winner will be forwarded and be aired on February 2, 2014 during the Super Bowl. However this Small Business Big Game contest is a competition that reaches out small manufacturers creating a visual presentation on how their milestone becomes a success. In voting for the top 20 finalists, the highest 5will be allowed to move to the finals. These five will come (4) from the public voting and the other (1) will be from the votes of the Doritos marketing team. The creators or producers of the highly claimed ads will get a chance to work with the set of the upcoming movie “Marvel’s The Avengers: Age of Ultron” because last year they were with the movie “Transformers” franchise. There’s also a big pot prize of 1 million for the commercial ad that will gain the highest rank in the people’s choice voting system and there would also be a declared runner up the consolation prize of 50,000. This competition has an objective to promote the product and extend for partnership and joint arrangements with other company while intensifying the creativity and logical thinking of participating countries. The contest is not only isolated to famous and sophisticated logic ideas but also to those who are one of a kind. The same with Urban woods goods, that was officially declared as one of the top 20 finalists that wreck the house down using their unique idea of passing their own story video or timeline video. The video contains a short film on how their small business evolved into something that derived their present situation- which is a far better way back 1920’sa century-old wood tradition of processing furniture designs. Way back 2010 when they started their business that now has become a well- known furniture shop in their town. Mr. Enrin True, the co-owner of the furniture shop said that the contest is a brain whacking kind of competition and game-changing because there were a lot of them that manufactures different kinds of furniture, in a contest they have to make sure that all lumber provided must be consumed even up to the salvage part of the wood they must use of it. And game-changing because just a click and surf, the whole fate will be at stake without any clue or whatever that would make them believe that they have the chance to enter the final four.Those different videos they submitted are uploaded into a website provided by the game organizer and that can found in Small Business Big Game website where it is open for public voting. On the website, videos are open for public voting to get the first, second, third and fourth slots and the 8,000 employees including the marketing executives of Doritos will vote for the fifth slot to determine the final five. The result for final five voting will be announced on the 11th of November and subsequently it will be opened again for voting and the result will be announced on the 1st day of December 2013 to award the 1 million pesos to the entry that gained the rank 1 and 50,000 for the first runner up and the non-winning finalist will receive $25,000 plus special trip to the super bowl in New Jersey. The winning piece or the video ad will be aired on the 2nd of February 2014 during the Super Bowl. Last year the brand used Facebook as the medium in promoting the Super Bowl contest. As a matter of fact this app stands to be the hub of their team to plan for logistics, analysis and statistical variables to compute for the rate meter as a basis in awarding their prize. The same app like Twitter, YouTube, Multipy and other social networking sites became the extensions on dispensing information about the contest and voting to net citizens and people who wants to join the said contest. Through these networking sites, the contest became viral on the internet and went across to different poles of the globe and recently the expansion defined its objective because the first campaign was launched and themed as “For the Bold” where Doritos redesigned its packaging to look more consistent across all countries dealing and marketing the same product. This was under the management of GSP (Goodby, Silverstein and Partners) holding their current office. The Super Bowl final judgment is yet to come, your votes are still in need to determine the best of the best. This is the time to hail the right winner and choose the best contender that would embody the 2014 Super Bowl Champ. A campaign that defines the true work of art and intense craftsmanship that never fails to prove the winning slot, a good narrator that would perfectly impart the true essence of his hardship and the success story behind the swollen patience and humility. The showcase is not always available as you wish to be but the decision you must do is to grab it if you think you think you have the guts and the skills to reveal and tell the world you’ve got that idealistic and genius breakthrough.